A hard-nosed onballer, Greenwood had played 52 games in his first five years at North Melbourne before enjoying a breakout season in 2014. After years of consistent performances for Werribee in the VFL, where he averaged 25.1 and 20.8 disposals in 2012 and 2013, Greenwood took his game to a new level as the Kangaroos charged towards the 2014 Preliminary Finals. 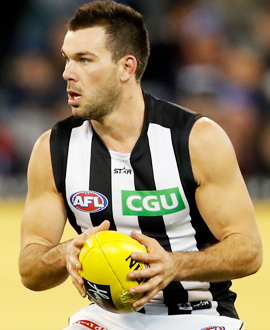 Injury hampered his first year at Collingwood, yet he impressed in his eight latter season games. His best football sees him use his solid frame to advantage, winning the hard ball around the stoppages and breaking clear onto his left boot.